Maybe some of you already figure it out I'm a specky girl who take pictures with my contact lens on. I seldom took picture with my specs on because I feel myself don't look attractive LOL. 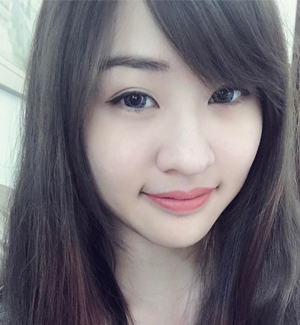 I always cheat by putting on contact lens and pose in front of the camera. I can say I am lucky enough to get two pairs of contact lenses from The Butterfly Project and MrLens. I get to try out different looks with different contact lenses. What's more exciting about this? 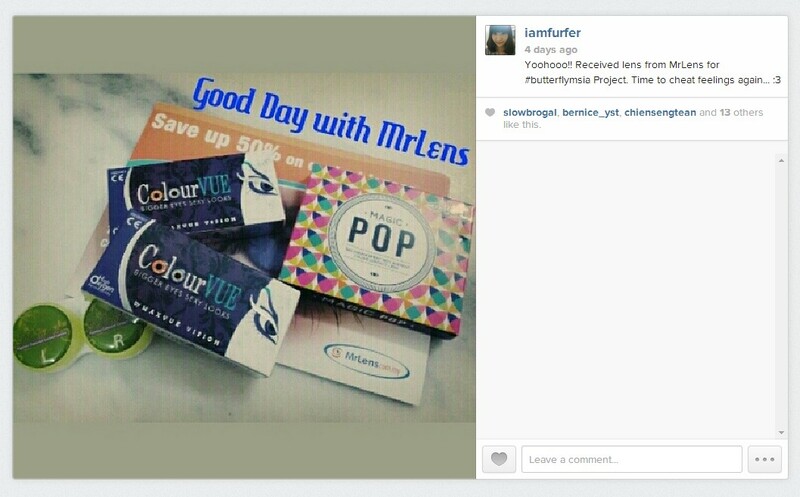 I get these lenses from MrLens via online delivery. It is so convenient because I do not need to go out and shop for contact lens. Yeah, I am that lazy because going out to buy a pair of contact lens is too troublesome. 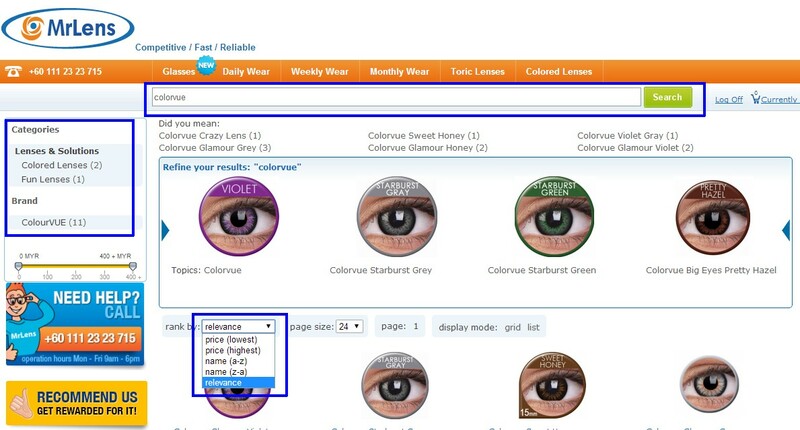 MrLens allows me to shop for quality contact lens with just a few clicks from the desktop. You can browse for various brands on the website using the search functions or even search for the types of categories you prefer. Then, you can sort out the lens according to the price or name. 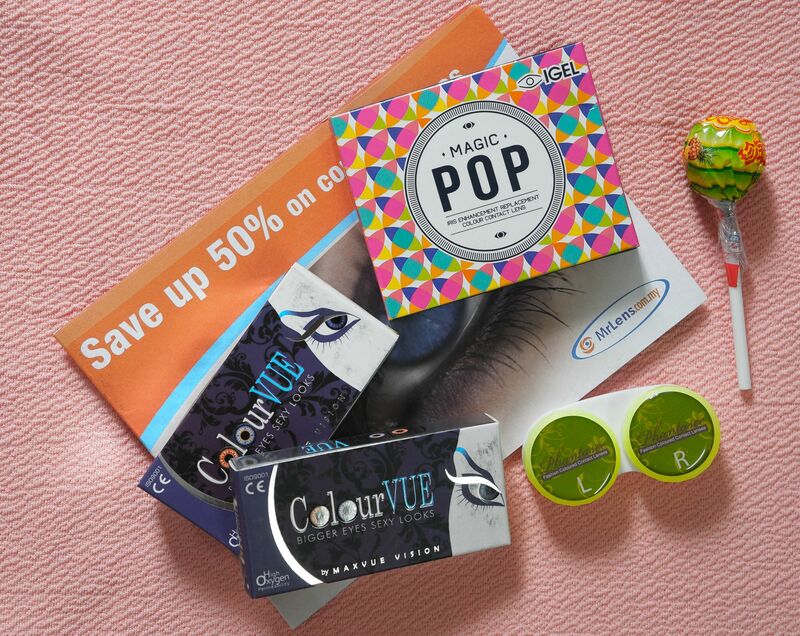 It is convenient for me because I can easily sort out the cheapest price for my favourite brand of contact lens. I have a thing on online shopping. I'm always get attracted to its wide selection of products and at the same time, I hate to wait for them to arrive at my door steps. But with Mr Lens, I only need to wait for 2 days and it safely arrived at my company's door step. Yes, Mr Lens prefer to courier the products to company because there are people around in the office during working days. It is a good approach for those who need to work during working days and at the same time, feeling excited to receive the products safely in hand. Sometimes, online shopping requires shipping fee. To be honest, shipping fee can be costly too. It reminds me of paying income tax every year and the heartache feel haunts me. I thought Mr Lens requires me to pay for shipping fee until I see the Free Shipping within Klang Valley area. I'm glad that I stay within Klang Valley area now lol. It is pretty easy for one to get hook with online shopping when he/she familiars with the payment system. Mr Lens has a super friendly payment system. Here's a brief review on both contact lens from ColorVUE. The lens are very soft and easy to glide onto the pupils. 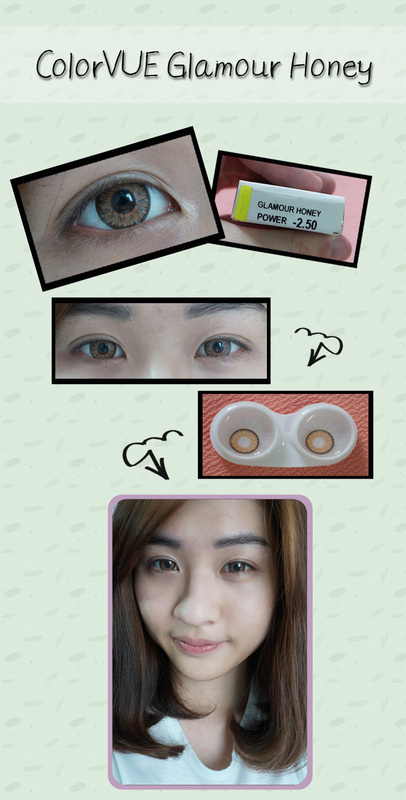 For Glamour Honey, it is a sweet brown lens but I don't think I look good with this color. Instead of a kitty look, I look pale and tired. Maybe I should put on makeup next time. I received Party Green lens. It is a 15mm lens and when I put the lens on, my pupils seems to be enlarge for a little. For a second I thought I'm an angry Hulk with this green lens lol. Anyway. I look better with Party Green because of its natural green color. 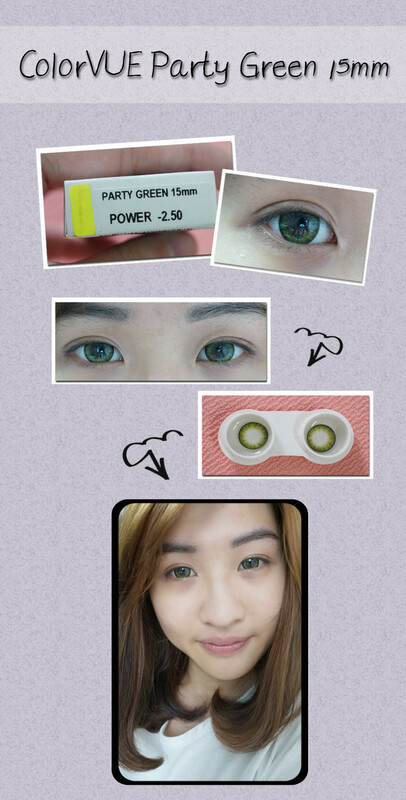 I think this is good for Cosplay because the color isn't like those solid green contact lens out there. If you want to know get updates from MrLens, do follow on their Facebook as well! Site return policy and seller rating ,Product reviews,Payment method ( Prepaid or COD),Discount Coupons.Then go to buy. Online shopping of beauty products are always good.I always shop beauty products online because in online shopping we will get variety of products and brands at one place .We can shop according to our comfort at any time. There are number of different color of lens are available in the market which you can use. But, you are having any problem in the eye treatment then, Eye Health Examinations Houston uses the proper technology for the eye treatment.